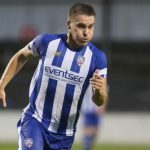 Previous Clubs: Ipswich Town, York City, Linfield. 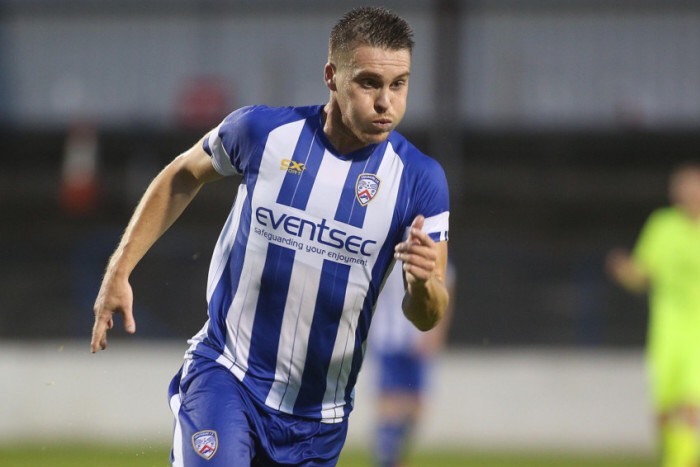 Coleraine completed the signing of Josh Carson in May 2017 from Linfield. 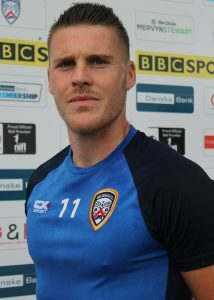 The former Ipswich Town winger has earned four senior Northern Ireland caps and has numerous appearances in the English Championship. 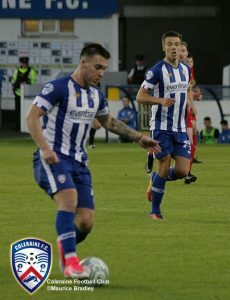 A tricky and skilful midfielder, Carson made a strong impression in his debut season in blue and white and committed his future to the club until 2021. 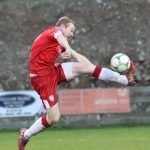 The Antrim man’s passion and will to win means he is a firm fans’ favourite at The Showgrounds. 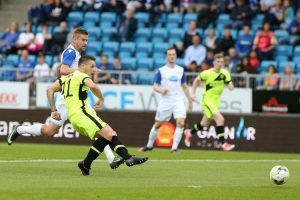 Carson gets a strike on goal in the Europa League qualifier against FK Haugesund. Carson picks up possession against Cliftonville in August 2017. 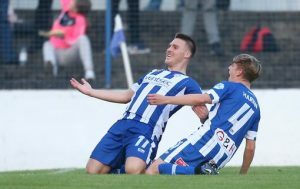 Carson celebrates with Ciaron Harkin after scoring his first league goal for the Bannsiders. 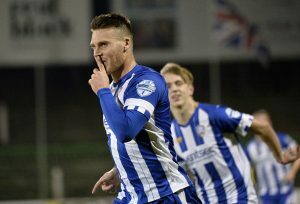 Carson celebrates scoring against Glentoran in the BetMcLean League Cup in October 2018.